One of Argentina’s great attractions is its equestrian culture, manifested in the game of Polo, which Argentine teams are internationally renowned for. To really get to know Polo, and why not, play it, Argentina Polo Day have put together an excursion combining a taste of traditional foods and wines, relaxing and leisure by the pool and amidst nature, and of course horseback riding, polo lessons, polo matches and the chance to interact with some of the best local players and coaches. The day begins with empanadas, wine and an explanation of the sport and the horses. After filling up a bit, professional players play a match with bilingual commentators explaining what is going on. After the game a typical asado is served and in the afternoon beginner polo lessons are taught and poolside relaxing encouraged, completing a day full of fun filled activities and local culture. Argentina Polo Day takes place in a countryside setting at just a 45-minute car ride away from Buenos Aires, and transportation can be arranged if needed. The tours run every day and must be booked in advance. With the arrival of spring and sunny days to come the span of activities broadens in the outskirts of the city where short trips to the countryside make for a great way to experience what the local culture is all about. As your are probably very well aware of, one of the focal points of Argentine tradition is the countryside, home of gauchos and many an unfortunate cow. The estancias are rural estates that not only carry out typical rural activities but also have a rich history depicting the settlement patterns and land disputes of this young country. Horseback riding, polo, fishing, and Fiesta Gaucha (including folkloric dances and races) are all offered as part of the Estancia experience. A top-notch estancia offering everything from gaucho shows to parachuting and massages in a gorgeous French style chateau surrounded by fragrant nature. 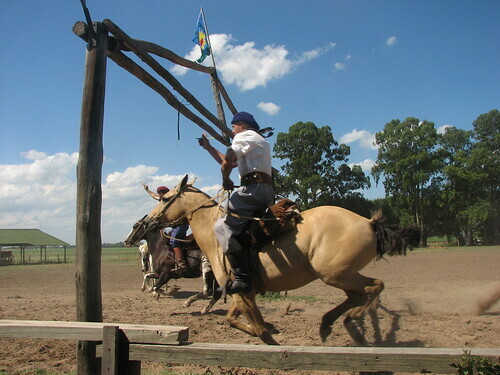 This typical estancia outside the city regularly celebrates a Fiesta Gaucha with traditional meals and activities. This is a great day trip option in which transport to and from the Estancia is included. Built on the shore of a lagoon and surrounded by trees this natural haven offers canoes, bird watching, and horseback riding. Plant lovers will get a chance to walk around the estate with Enrique Pierri, an expert on the surrounding vegetation. Since 1610 the gauchos were already on their horses playing “Pato”, a national sport very similar to Polo. Nowadays Pato it is still played but Polo has taken a bigger stand and has become, one of the most successful sports in Argentina, next to football and rugby. Polo players such as Adolfo Cambiaso, and Nacho Figueras have become obtained great national and international acclaim exemplifying the quality of the sport in Argentina. 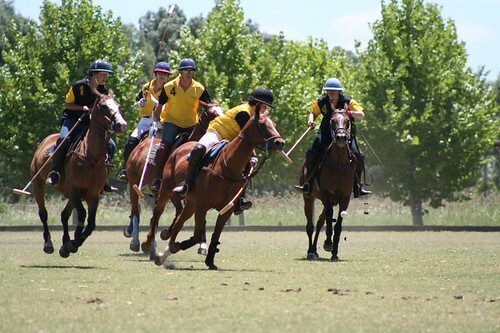 The popularity of the sport has led there to be many Polo tournaments which are great events to attend, and it is also possible to take a Polo lesson, which is a fun alternative to get to know this interesting sport. 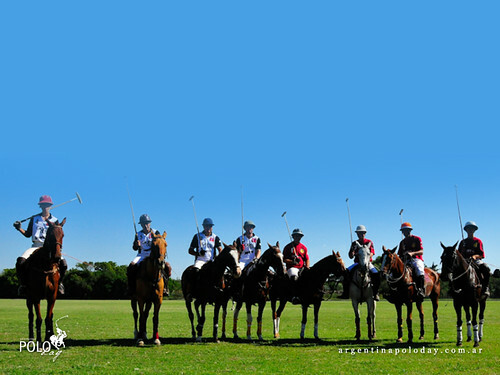 In Buenos Aires, Polo Elite offer individual and group lessons in English for all levels. They also offer the opportunity to go to a polo match with an English speaking polo player to guide you through the game. You can find an overview of Polo rules here. 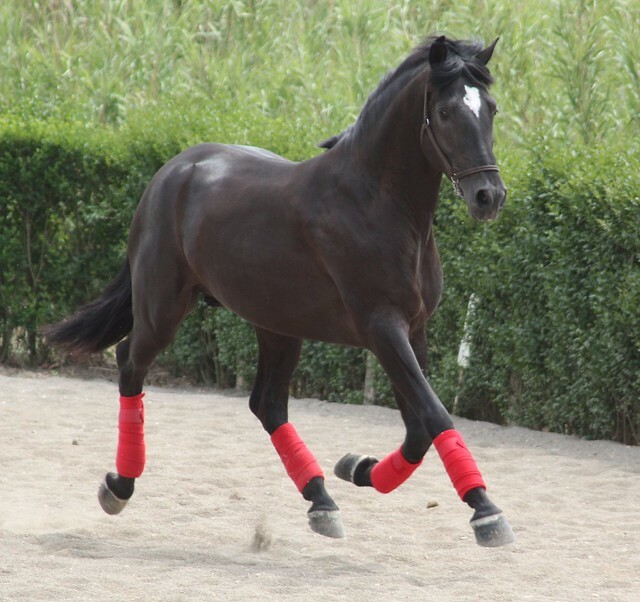 If you like horses you should go to La Rural at some point this week to check out horse shows, competitions, carriages and other related activities! More information here.